Like many things in life, anything worth having is worth some risk, and the thrill of Vegas or high stakes poker mirror the anticipation of and excitement at your celebratory event be it a Vegas wedding or birthday trip. 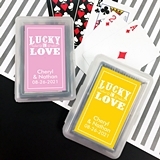 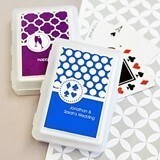 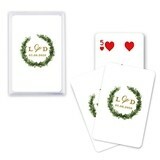 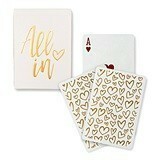 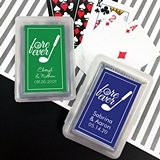 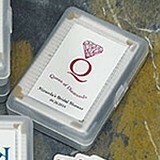 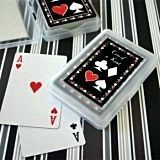 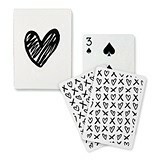 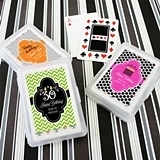 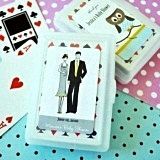 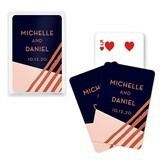 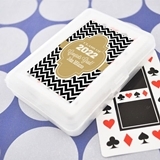 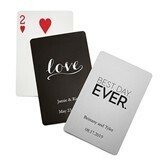 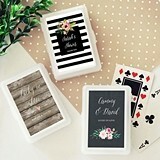 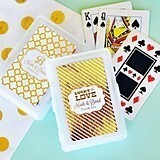 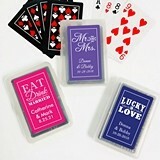 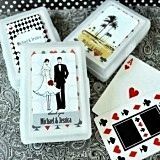 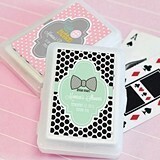 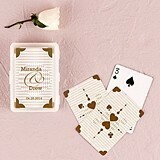 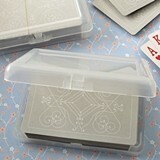 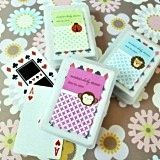 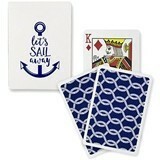 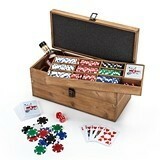 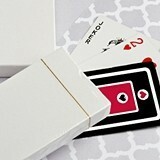 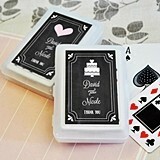 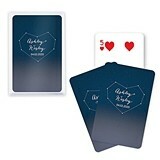 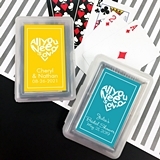 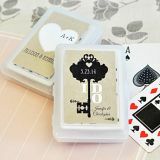 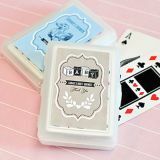 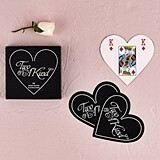 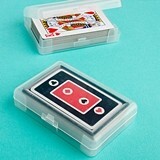 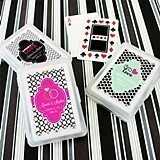 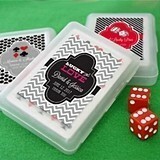 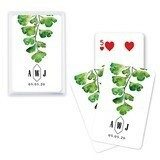 Whether your theme is Casino Royale or just plain fun with friends, our personalized playing cards make for great souvenirs of your spectacular event. 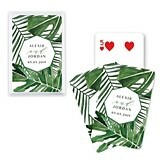 The perfect favor for guests of all ages, these cards are printed on super-durable cardstock and are designed to last for years of playing fun. 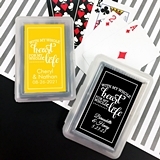 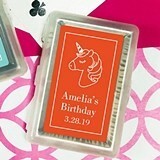 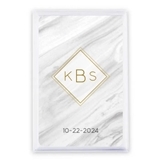 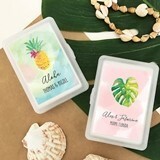 Personalize them with your choice of a wide variety of fun designs and your special message and/or the date of your event, they're a wonderful way to say "thank you" to each of your guests who helped make your event something special to remember.